When you’re in a yoga class regularly, sometimes the postures can seem so routine that it’s easy to find your mind wandering. You may be considering how those black yoga leggings make your thighs look. You could be comparing your own posture to that of your classmates or thinking about what you’ll do after class is finished. 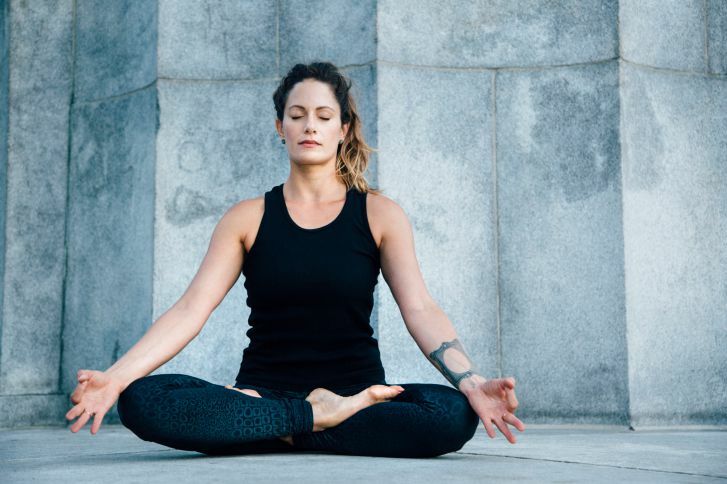 Keeping your mind off of your yoga pants and on your practice may require some additional help refocusing your thoughts. Try these three tips to keep your mind centered on your practice. 1. Talk To Yourself About The Breath. If thoughts are bouncing all over your mind, it may be time to try drawing attention to something completely different. Make a simple statement about the breath each time you breathe in and out. Comment internally that you are now breathing in, holding the breath, and that you are now breathing it out. It is a great way to keep yourself centered on the practice and control what thoughts bounce through your mind. When your thoughts quiet down, you can simplify the self-talk to say “in” and “out” as you move with the breath. If you can bring your mind back to your intention, you may even begin to think about ways you can make it a reality through your practice. Repeat these to yourself internally to set your mind on the rest of the practice and the day ahead of you. If you have a home practice that gives you the freedom to try these exercises out loud, you may want to try some of the more traditional chants. If your mind is having a difficult time focusing on your practice, it may be a good time to pause and take a seated position. Cross at the shins or take a lotus pose as you go through a few rounds of the Ohm. Not only does this help to regulate your breathing for the remainder of your practice, but focusing on the word itself can push distracting thoughts out of your mind. As you become more accustomed to the chants, you may try some of the longer traditional ones found throughout various practices such as Ashtanga yoga. Keeping your mind on the practice allows you to move deeper into it and to reap all of the potential benefits. Anxious thoughts can be kept at bay with a handful of these techniques for centering your focus and attention back on the practice and the breath.